Area Shapes? 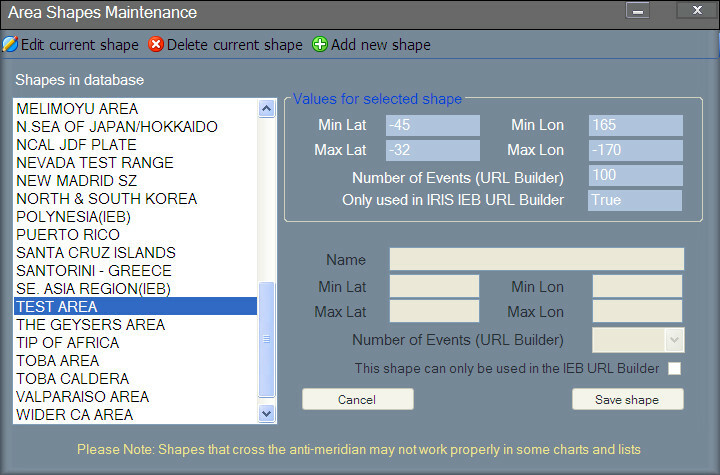 Yes, the latitude/longitude box coordinates that define a specific area and are used in charts, plots, the URL Builder etc. Currently only rectangular boxes are used. The list on the left hand side contains all the shapes in the AreaShapes table of the database. With this editor you can edit any of these shapes, create new shapes and delete shapes. All the shapes can be used in the IRIS Earthquake Browser URL Builder built in to QVSData, and most of the shapes can be used in other areas such as graphing and list selections. At this time the use of shapes that span the anti-meridian is only permitted in the URL Builder. It is intended that this will change eventually. 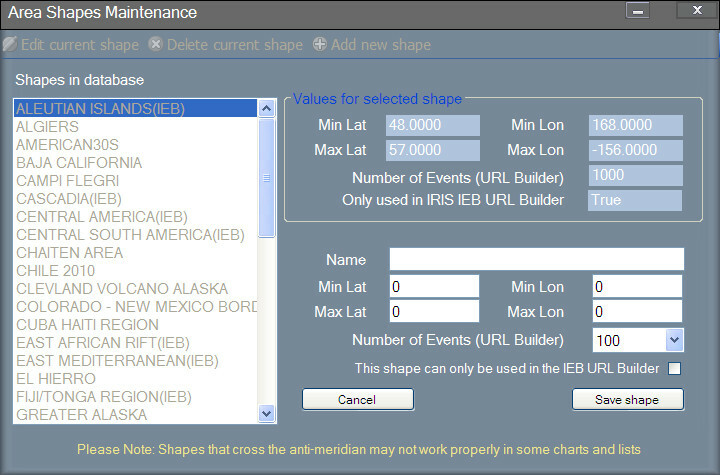 Shapes with cross anti-meridian parameters will not be loaded into non URL builder routines. The edit and delete functions work on the shape that is highlighted in the list. The edit and new function use the editing area below the details of the shape. The screen-shot above is the form as it appears when the add menu item is clicked on the toolbar. Note that until you have finished all other functions are disabled. 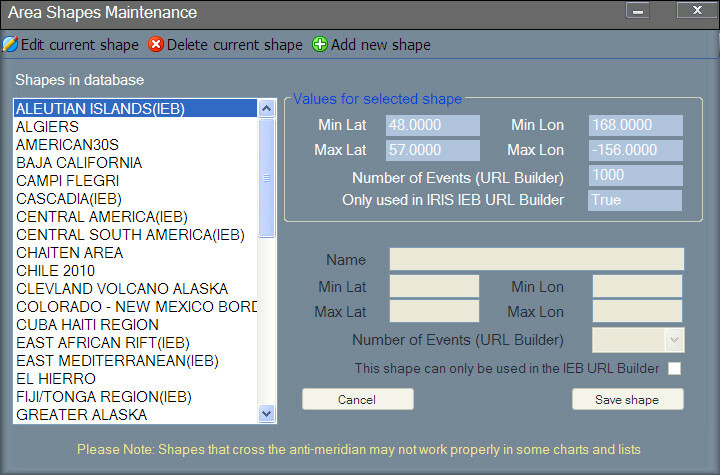 You have to give the shape a name, a set of coordinates and optionally a specific value for the number of events to display in the URL Builder and tell the system if this only applies to that. 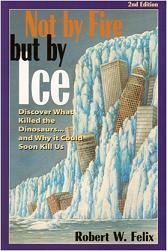 If a latitude difference exceeds 50 degrees you will be asked if you intended that. If you did just answer Yes, otherwise answer No and change the values before trying again. If a longitude difference exceeds 60 degrees you will be asked if you intended that. If you did just answer Yes, otherwise answer No and change the values before trying again. Click on Yes to set the flag or No to stop saving and edit the values. This is the form that triggered the question above. If the minimum latitude is greater than the maximum latitude, for example you have entered -30 for the minimum and -45 for the maximum as above don’t worry. It can be confusing when working on the southern hemisphere but if you forget the system will swap those round for you. Here is the form after the save has completed. 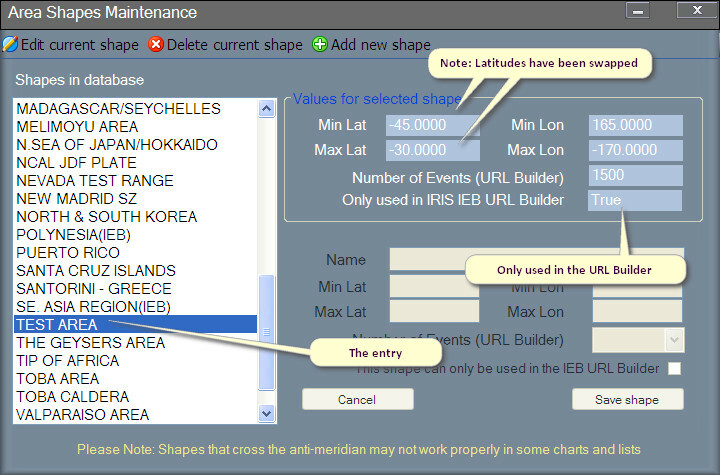 Note that for an edit you cannot change the name of the shape as that is a key field in the database. All of the checks that are made in the addition of a new shape apply equally to an edit so see above for the details of the messages. When you click on save the existing entry is replaced with the new details. To remove a shape click on the Delete button on the toolbar. It is a simple operation with only one question so please make sure you have selected the right shape for deletion. When it is gone, it is gone. Click Yes and the entry is removed from the list and the database.